The shocking and grisly murder of two Boston anesthesiologists might never have happened if the murderer had been properly deported. 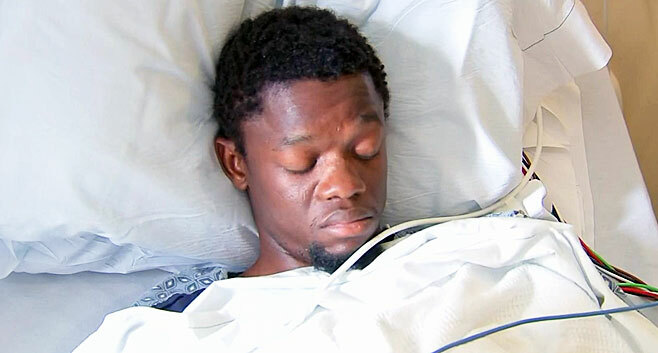 Bampumim Teixeira was shot by police in the penthouse apartment of Drs. Richard Field and Lina Bolanos after he had slashed their throats and attempted to steal a bagful of jewelry. Now reports have surfaced that Teixeira should never have even been in this country if not for the benevolence of defense lawyers and courtroom judges. Mr. Teixeira had two prior convictions before the murders. He was convicted twice of robbing the same bank, once in 2014 and another time in 2016. Even though he is a green card holder, this would have made him eligible for deportation back to his native Cape Verde. However, the first conviction was placed as "guilty filed." Essentially it meant he received a warning from the judge that further criminal activity could lead to his deportation. And that's it. He was free to go. That was not enough to notify immigration to start deportation proceedings. Then after his second bank robbery, he was convicted of larceny and given a jail sentence of 364 days. This is important because he would have been reported to ICE for a major felony only if he went to jail for at least one year. So thanks to the judge's leniency, Mr. Teixeira once again eluded deportation. Think about how outrageous this whole chain of events is. How many people have attempted bank robbery even once in their lifetimes, much less two. Yet this man who has already proven he would not be a good law abiding American citizen was allowed to stay in this country to later commit even more heinous crimes. Is it any wonder there are so many Donald Trump supporters in this country?